When Twilio acquired Authy, the popular two-factor authentication service, they realized Authy’s social networks had been poorly tended to. In fact, when tapped to provide social media content and community management to Authy’s Facebook, Twitter, LinkedIn and Google+ accounts, we noticed some user messages hadn’t been responded to in over a year. After developing a sound social strategy, and creating and engaging with a vibrant community of developers and users, we were asked to take command of Authy’s faltering blog and resources output. 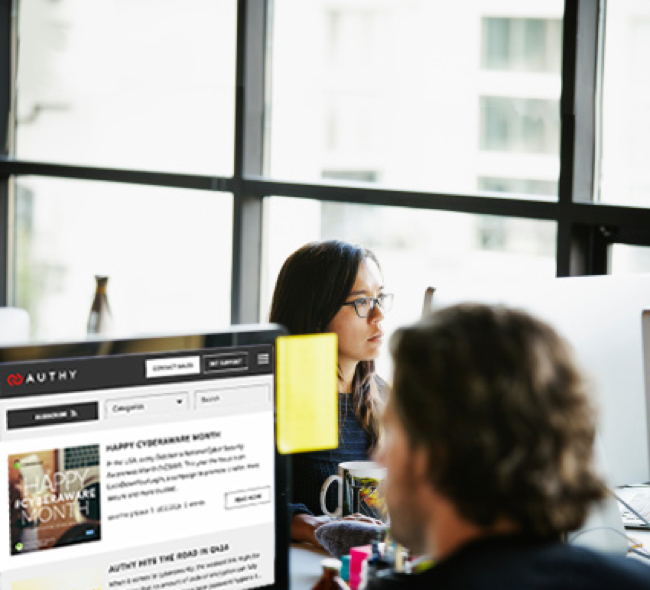 Working with Twilio’s security SMEs, product leads, and sales execs, we transitioned the Authy blog from sporadic publishing to a regular weekly posting schedule of high-quality, contextually relevant content. Once we got that on track, the Authy (now Twilio) team wanted to create a program to secure SQLs. We devised a marketing plan that included a series of webinars, ebooks and content syndication across popular technology sites and targeted account-based list rental outreach. Did we mention we did all that in a two-week window? Our client wanted to tap into a Q2’17 budget and begin their lead acquisition program to secure more leads sooner than later and nurture them to the point of SQL. Check out the e-books below. Visit the blog we author weekly.